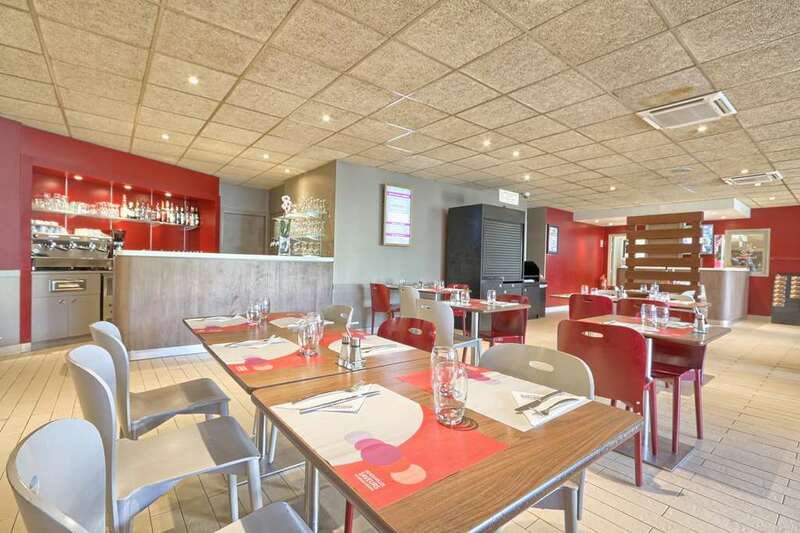 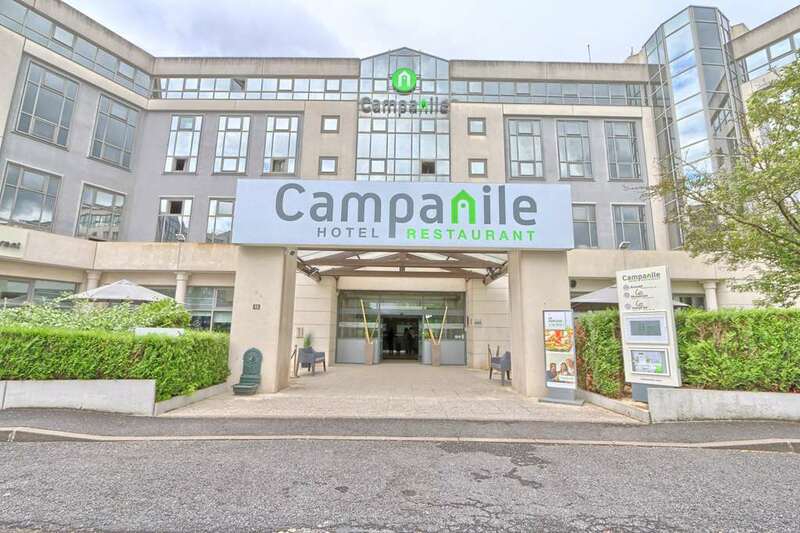 The Campanile Roissy is located in a completely renovated property near the Vallée Verte. 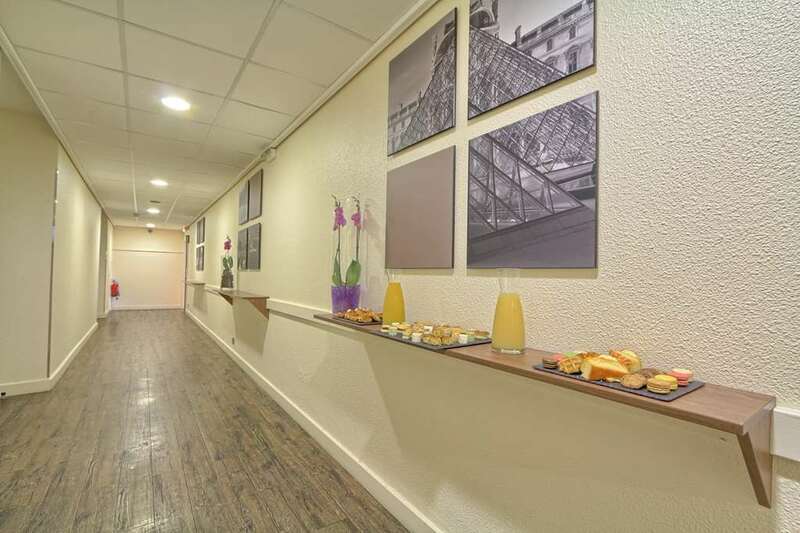 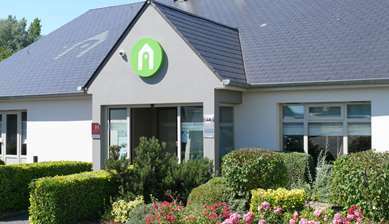 Situated 5 minutes from the A1 and CDG airport, it offers a relaxing setting for all types of stay. 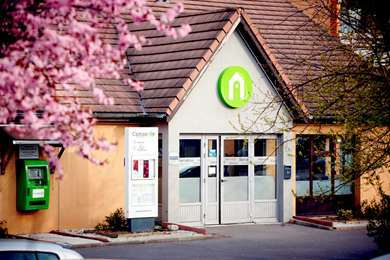 Enjoy free parking and a regular paying shuttle service. 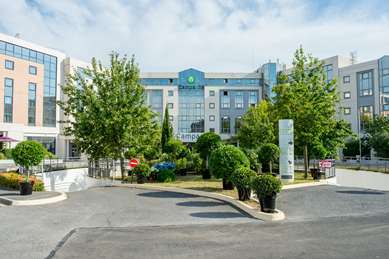 Perfect for business trips, the hotel is 10 minutes from the Villepinte Parc des Expositions and Le Bourget. 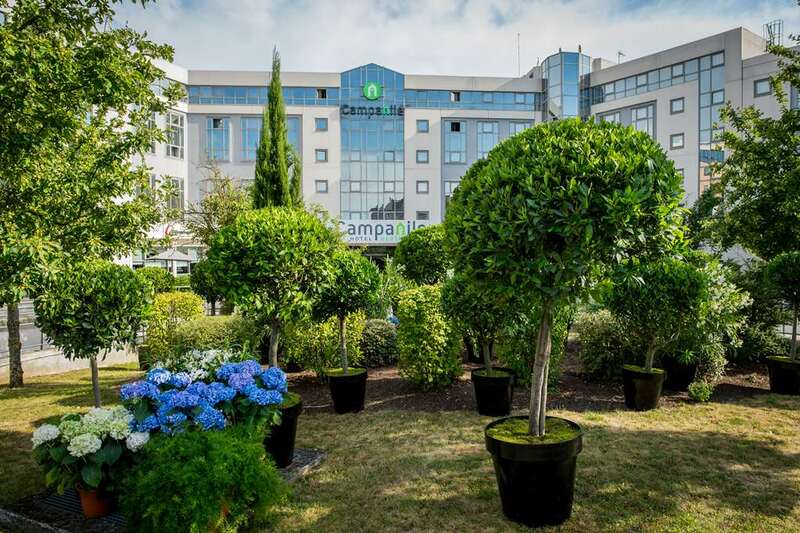 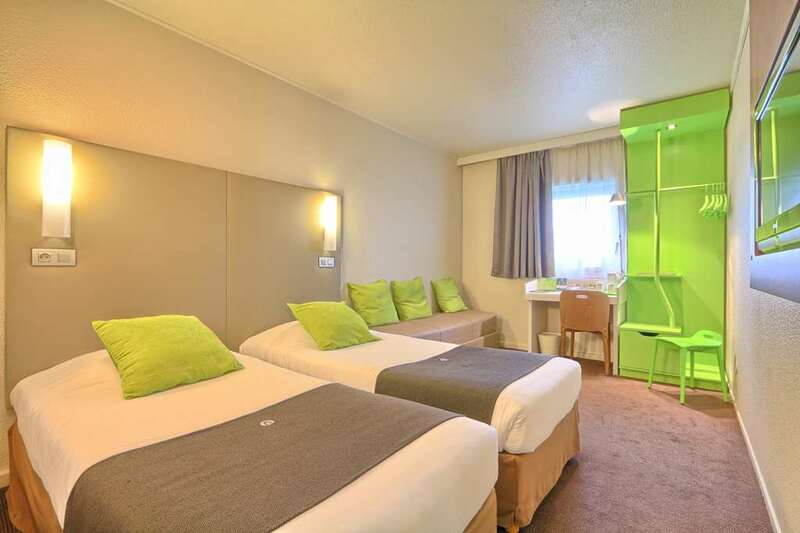 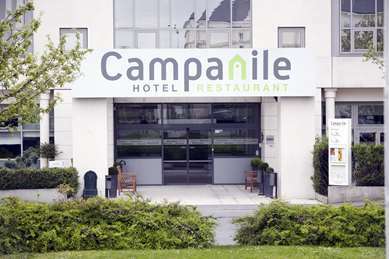 The 3-star Hotel Campanile Roissy rooms boast contemporary décor. Each room is soundproofed and air conditioned. 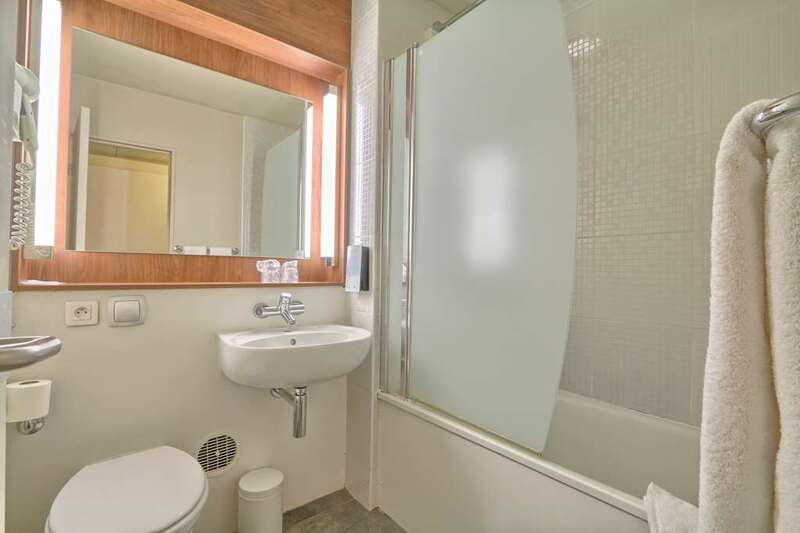 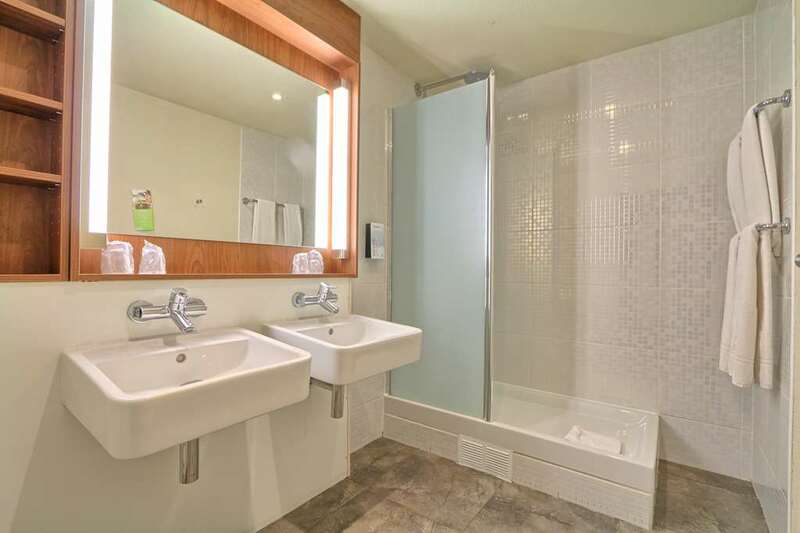 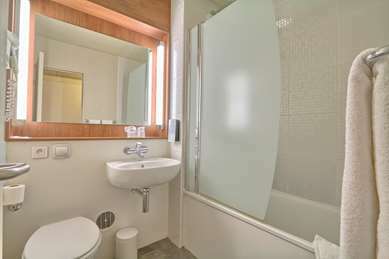 Each one is equipped with free Wi-Fi and a private bathroom with a shower or bath. Guests enjoy modern amenities, a hospitality tray and a TV with satellite channels. 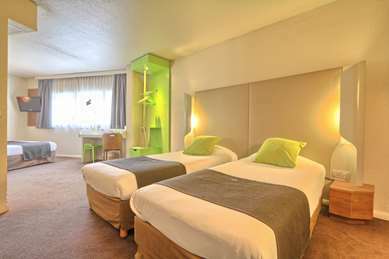 The hotel has comfortable rooms for guests with limited mobility. 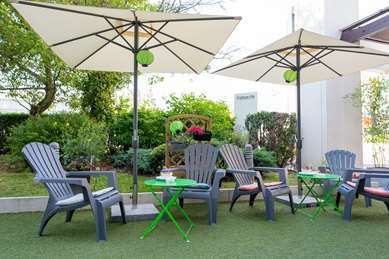 Open for breakfast, lunch and dinner, our restaurant and its terrace offer a nice relaxing break. 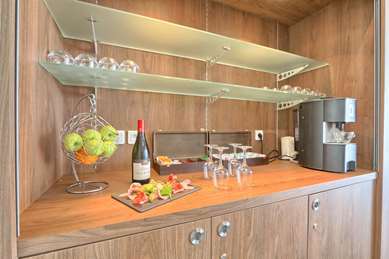 You will find fresh ingredients, seasonal dishes and delicious desserts on the menu every day. 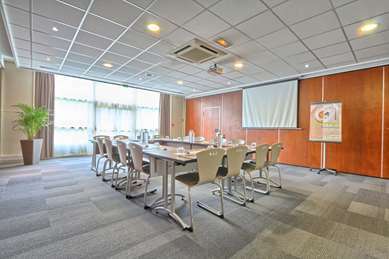 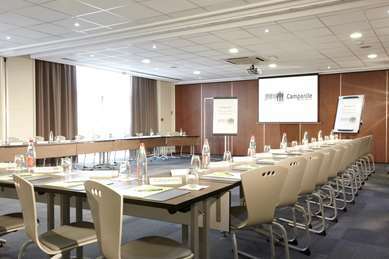 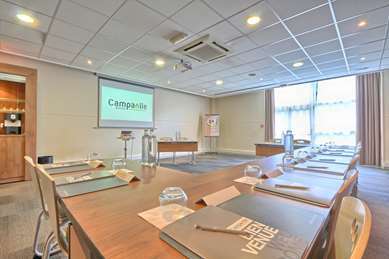 For your seminars and corporate events, the Campanile Roissy offers 4 air-conditioned and fully renovated rooms. 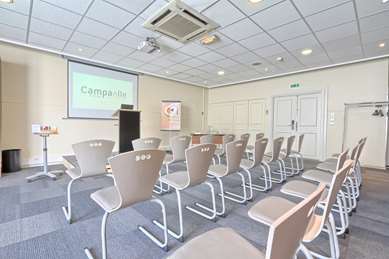 Bright and modular, they can accommodate up to 200 participants. You will find all the necessary equipment for a successful presentation, including video projectors, amplifiers and a microphone. Signatory to the Charter for sustainable accommodation in Paris, the Campanile is part of a respectful approach to the environment. 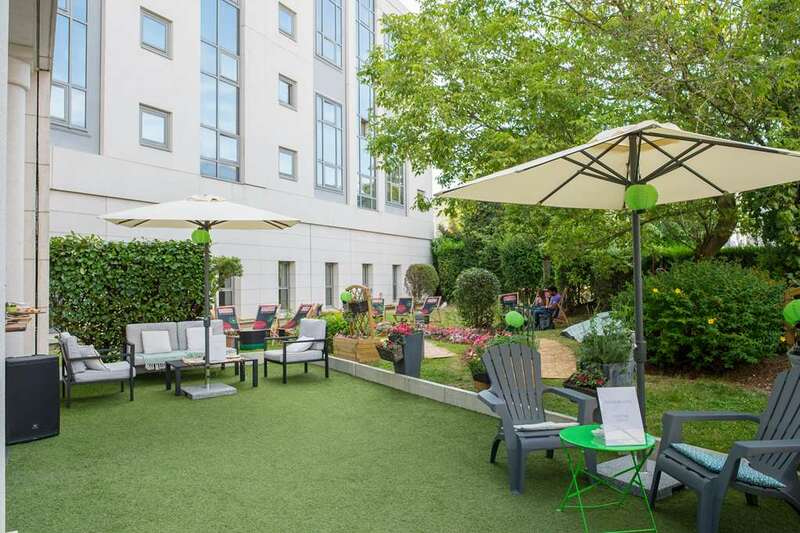 You will find numerous recreational activities including a swimming pool and tennis courts, as well as the Vallée Verte, perfect for jogging or cycling. Our 269 rooms have been fully-refurbished and are part of the Campanile Next Generation! 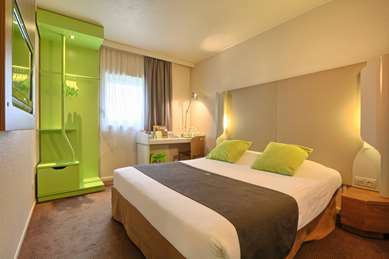 Fully-equipped and decorated in contemporary style, they have been designed to offer maximum comfort. Each room is fitted with a private bathroom (with bath or shower), is soundproof and has individual reversible air-conditioning. 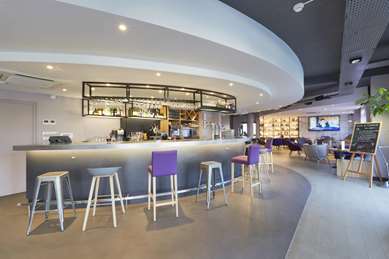 The modern fittings include a desk space with free Wi-Fi and satellite television. A welcome tray is provided, with a kettle, coffee, tea, sugar and milk. 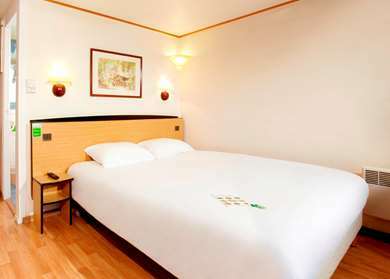 The hotel has ten rooms which are accessible for guests with reduced mobility, perfectly equipped for your comfort. At your Campanile hotel an ample all-you-can-eat breakfast buffet is available from 5 to 10am to help you get your day off to a good start. 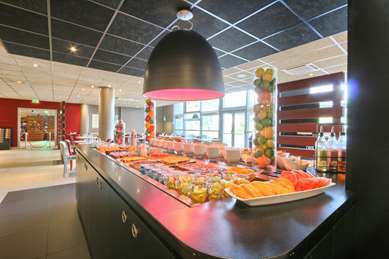 You can build your own breakfast, choosing from fruit juice, hot drinks, cereal, pastries and cold meats. 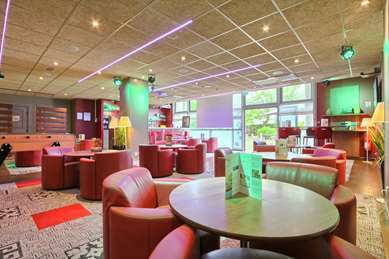 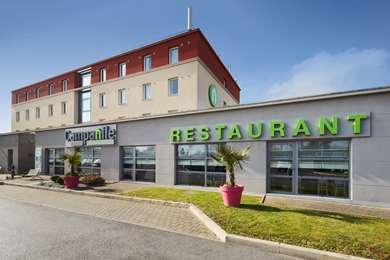 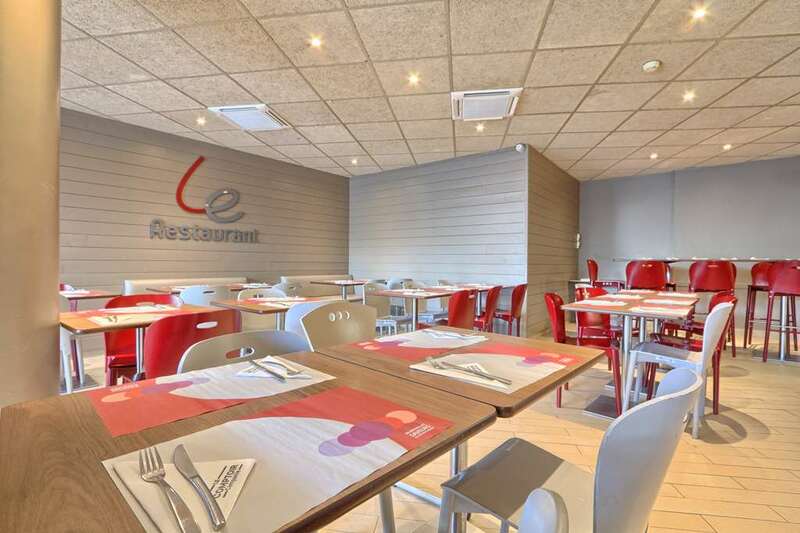 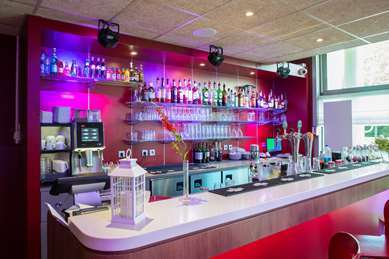 At lunch and dinner, your Campanile hotel Roissy satisfies any appetite with its menus and gourmet buffets. Food is served in the pleasant restaurant every day from 12 to 2.30pm and from 7 to 11pm. 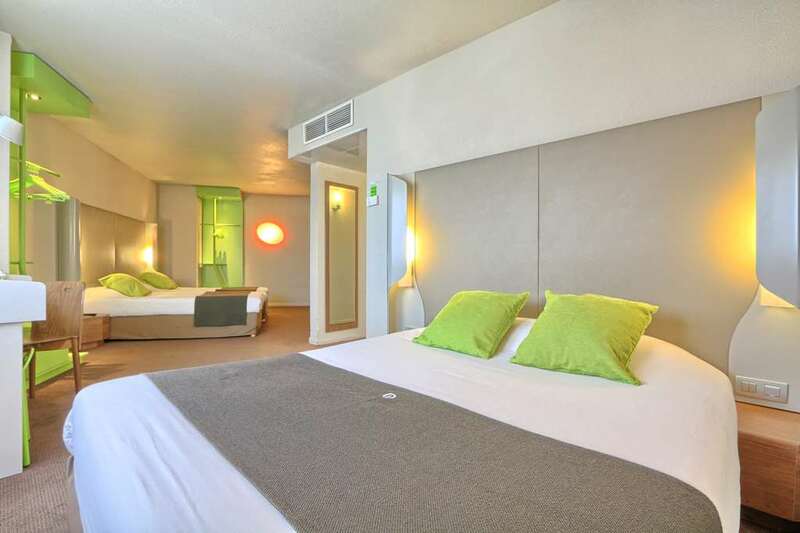 And if you arrive after 11pm, you will be able to order one of our delicious dishes as room service until midnight. 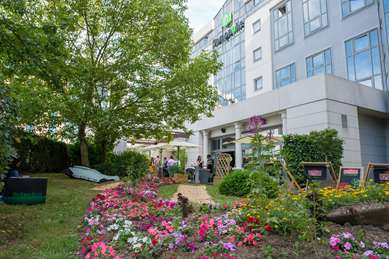 A varied buffet is served in the restaurant and on the terrace in summer. 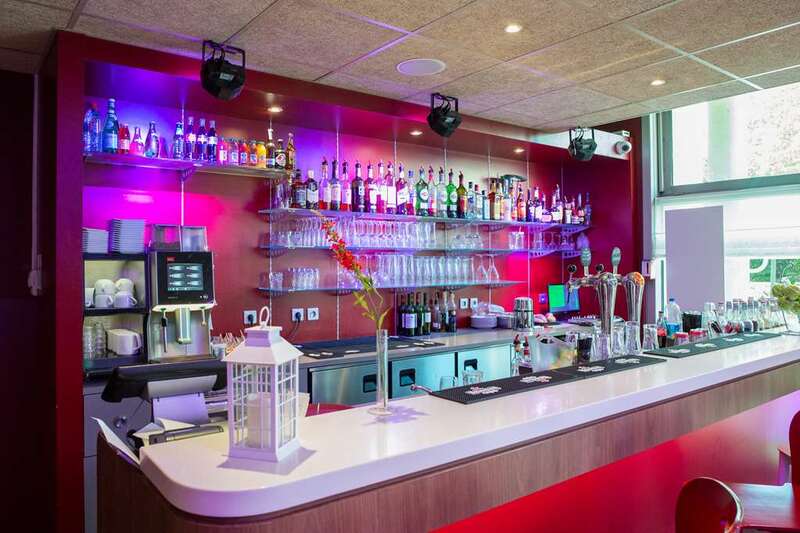 The bar is open every day from 4.30pm until midnight.